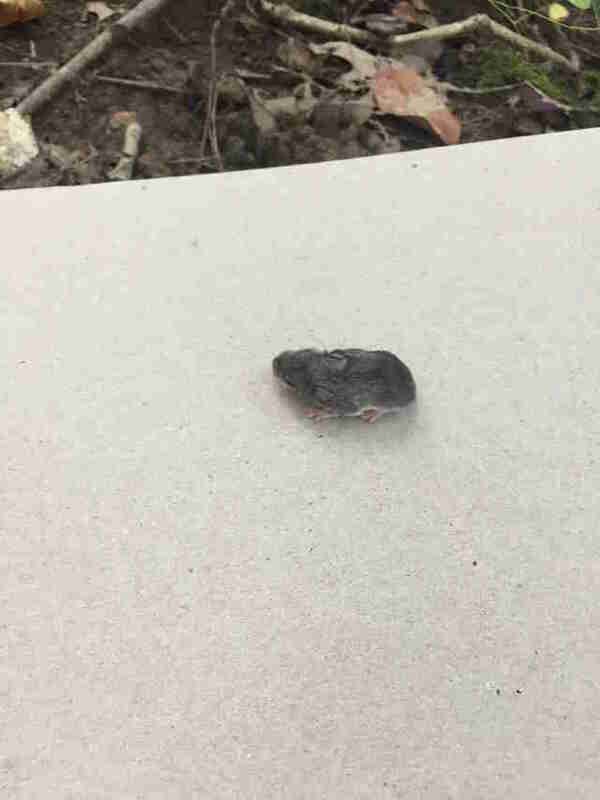 When Lexi Martin’s mom found what she thought was a dead baby mouse in the middle of her living room last year, she called her daughter over to check to see if there were any other mice hiding around the room or under the furniture. 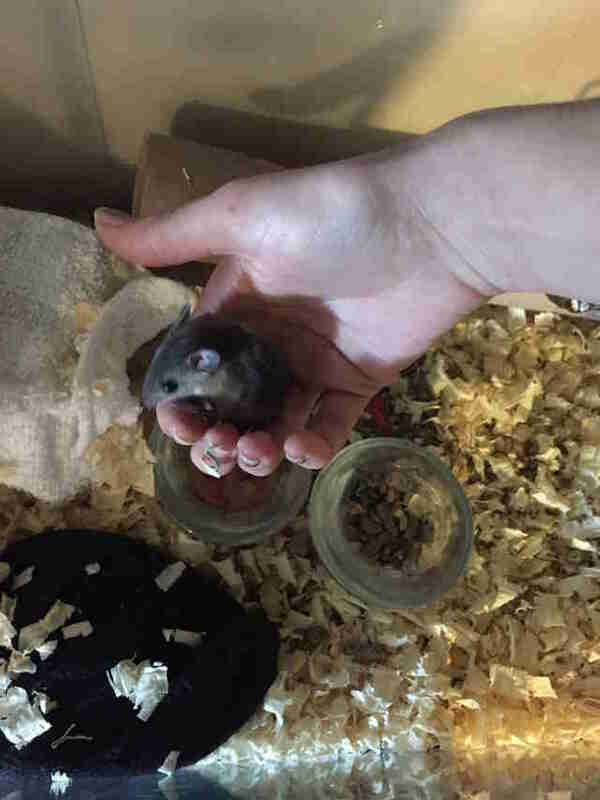 When Martin arrived, she found the tiny mouse sitting in a mason jar her mom had scooped her into, and it definitely didn’t look like she was alive. Martin went to take the mouse outside — and was shocked to discover that she was still breathing. 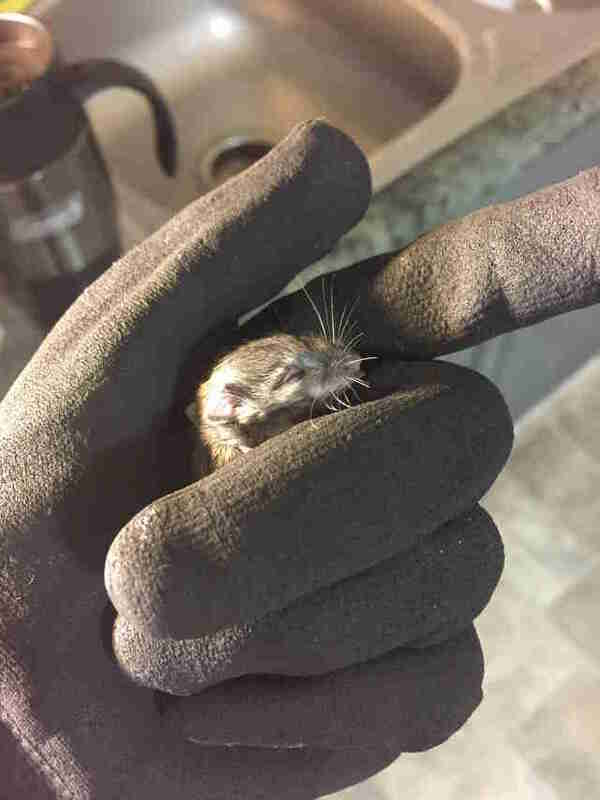 The tiny mouse, later named Squeaks, was no more than a week old, and hadn’t even opened her eyes yet. Martin knew there was no way she could survive in the wild on her own at that point, so she decided to take her home to try and nurse her back to health. From the very beginning, Martin knew that Squeaks’ chances of surviving were slim because she was so young — but she also knew that she still had to try. 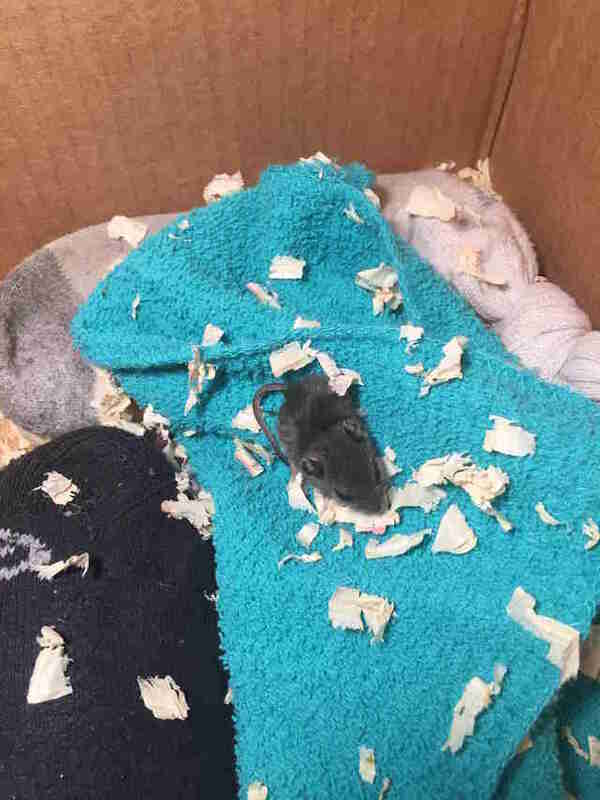 As soon as she got home, Martin set up a cardboard box with bedding, washcloths and a sack full of rice that she microwaved to give Squeaks something warm to cuddle up to. After finding her all alone, she wanted to make her as comfortable and content as she possibly could. After researching how to best care for little Squeaks, Martin began feeding her watered-down condensed milk — and as soon as she took her first taste, little Squeaks suddenly seemed to come back to life right before Martin’s eyes. After that, Squeaks began getting a bit stronger every day. At first, she was a little scared of Martin, but the stronger she got, the more she began to trust her rescuer and seemed to realize that she was the reason she was still alive. Eventually, her eyes finally opened, and at that point Martin knew she was going to be OK and breathed a sigh of relief. Somehow Squeaks had pulled through, and Martin had a new permanent best friend. 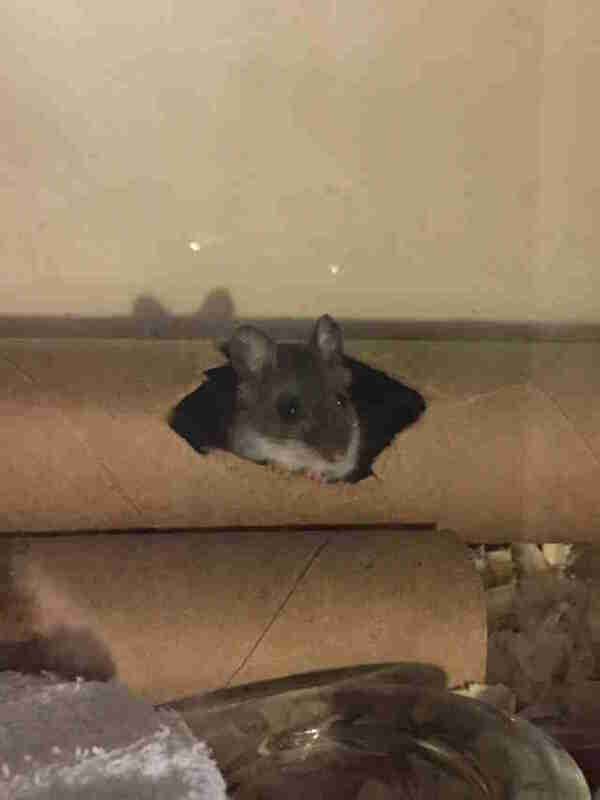 Squeaks has now been with Martin for over a year, and has grown into the spunkiest, most active little mouse her new mom has ever seen. She loves running through the maze of tunnels her mom made for her, and is constantly jumping into Martin’s hands looking for extra treats. She’s come so far from the tiny, sickly mouse she was when her mom first saw her, and Martin is so glad that she decided to give her a chance. "I knew I couldn’t let that fuzzy jellybean die," Martin said.